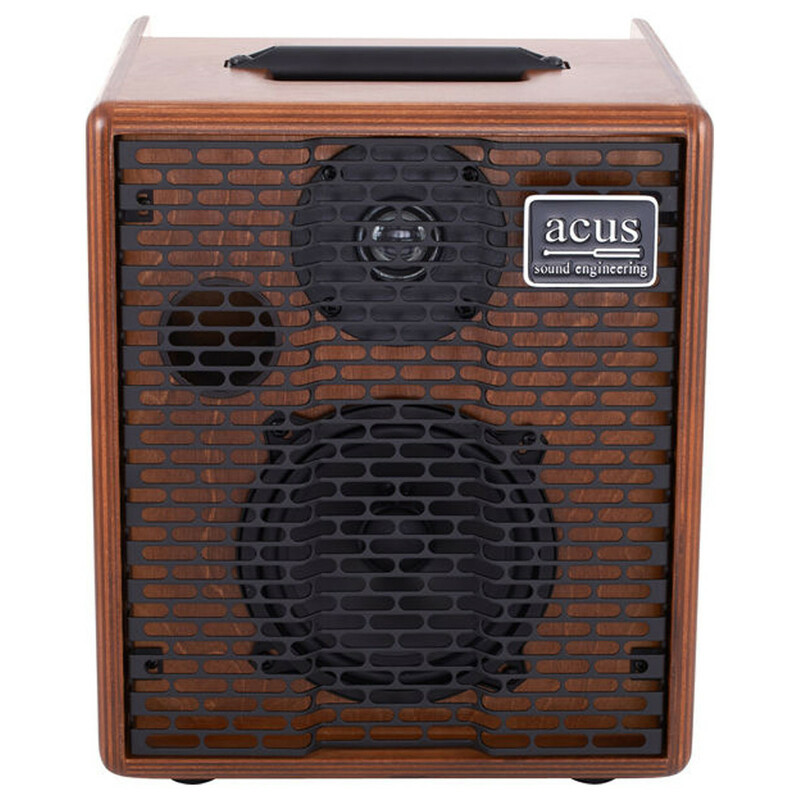 The Acus One-5T Acoustic Amp is the latest addition to the OneForStrings series, designed to accentuate the sound of acoustic instruments while retaining the natural, harmonic tone and resonance. The One-5T features two seperate inputs along with a 3-band EQ and controls for Gain/Volume, Effect Send and Master Volume. The plywood cabinet also features a 5'' woofer and a compression tweeter, both of which are powered by the 2-way biamp system to provide a total output of 50 watts and a frequency response of 50Hz - 20kHz.